Dedicated to all ‘those who support our dreams’, this animated short film beautifully depicts the love between a father and daughter and how being supportive can have a powerful effect. A young girl called Luna pursues her childhood dream of becoming an astronaut, supported by her cobbler father. The title refers not only to the famous words of Neil Armstrong when he set foot on the moon but also to the way that Luna’s father makes and mends her shoes as she grows up. The passage of time is beautifully depicted through this and other interactions, with the central relationship coming across strongly, through emotional and physical support even in times of disappointment and struggle. The film has a lovely animation style, it’s bright and crisp, with characters and locations kept simple but with just enough small details. For instance, I could tell it’s set in San Francisco before it was confirmed by the address on an envelope. It also brilliantly conveys childhood especially in one particularly wonderful scene of imaginative play, where sounds of laughter and joy are used to great effect. This is all supported by a really lovely score by Steve Horner that’s very complimentary in the way it traverses the changing circumstances of the narrative. In many short films they go for hard-hitting emotional impact in such a brief running time, and this while joyful and charming doesn’t hold back. Within seven minutes we go quickly from childhood, through adolescence, then starkly into independent adulthood, with varying hurdles that range from the smallest worn out shoe to the biggest loss. There’s no dialogue but the warm father-daughter relationship is clear throughout, at the heart of even the briefest montage-style scenes and makes it a captivating film to watch. 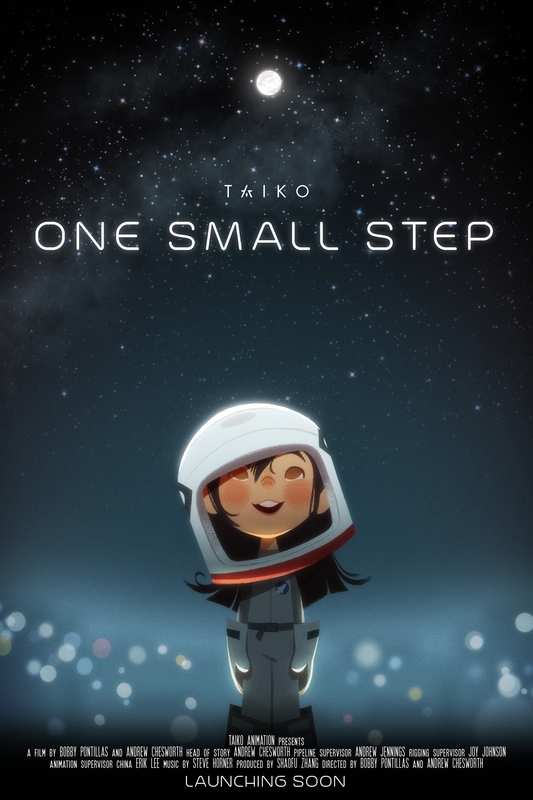 Nominated for Best Animated Short at the Oscars, this is a really heartwarming film that I thoroughly enjoyed watching. I have included a link to Taiko’s YouTube of the film above, though I don’t know how long that will be kept available, so watch it while you can, it’s truly lovely. This entry was posted in featured, Film, Oscars 2019 and tagged 2018, 2019, Academy Awards, animated, animation, awards, featured, film, films, movie, movies, nominee, nominees, Oscars, review, short film, Space. Bookmark the permalink.